Available Space: 5820 sq. ft. Rent: $13.00 per sq. ft.
Merchants Plaza is a prime 20,196 sq. 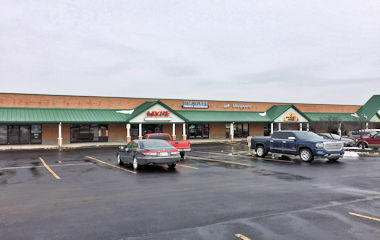 ft. retail/office center ideally located just off Burlington Pike at Houston Road in Florence, KY. The immediate trade area includes Super Walmart, PNC Bank,Tire Discounters, Speedway, Fifth Third Bank, LaRosa’s Pizza, Fazoli’s, Fuji Steak House and Gordon Foods. The Center has a great tenant mix including a 6,000 sq. 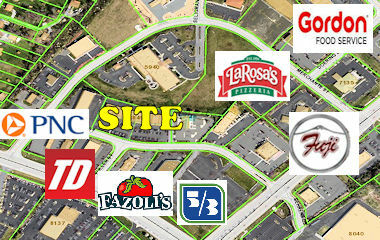 ft. BW3’s restaurant, Haven Tobacco Accessories, Manpower Staffing, Urgent Care and office suites.